Jallianwala Bagh massacre in Amritsar India took place 100 years ago on Saturday (13 April). 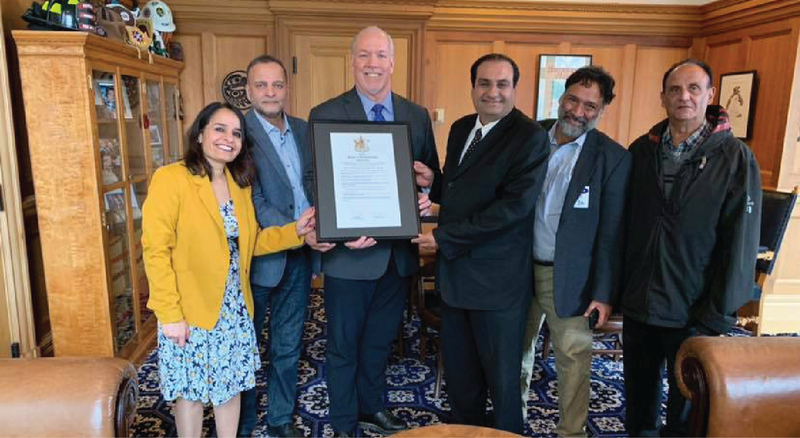 On April 11th, Mla Rachna Singh announced BC Govt has proclaimed April 13, 2019 as “the commemoration of the Jallianwalla Bagh Massacre day.” B.C. government has recognized the tragedy with Lt.-Gov. Janet Austin and Attorney General David Eby issuing a proclamation. Britain was at the height of colonial arrogance when then the actual shooting took place. The Heinous Massacre lasted only about 10 minutes. Soldiers from the Baluchi, Gorkha and Rajput regiments fired a little over 1,650 round. Concerned about a rebellion, a new law in March 1919 called The Anarchical and Revolutionary Crimes Act empowered the state to detain individuals without trial, imposed stricter controls on the press, and permitted warrantless arrests and in-camera trials where the accused would not know the witnesses or the evidence used against them. Mohammed Ali Jinnah, then a Congress leader, also spoke out against the Act, saying that a government which passes such a law in times of peace “forfeits its claim to be called a civilized government". The British colonial government arrested two Congress leaders—Satya Pal and Saifuddin Kitchlew—which raised tensions in Punjab. There were demonstrations held at the residence of Deputy Commissioner of Amritsar to demand the release of two popular leaders of the Indian Independence Movement. A large crowd gathered at Jallianwala Bagh, in defiance of rules prohibiting public gathering of more than four persons and banning public processions. 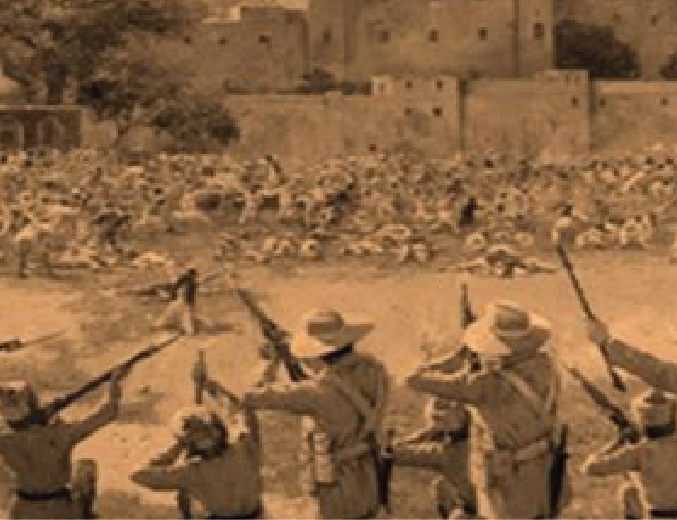 By mid-day, thousands of people were gathered at the Jallianwala which was covered on all sides by walls reaching up to 10 feet. It is equipped with narrow entrances, most of which were locked. Sensing the number of people present there and the secret meeting that was going to take place at 4:30 PM, General Dyer arrived there with armed troops. The main entrance was also guarded by the armed troops. On General Dyer's orders, there was ruthless firing done on the uninformed crowd. There were about 25,000 people present there at the time of firing. Some tried to escape while some choose to jump in the solitude well built in the premises of Jallianwala Bagh. This heinous act of violence resulted in extreme mass killing. The firing continued for about 10 minutes, and it only ceased when the ammunition supplies were almost exhausted. The massacre shocked the conscience of many Indians who believed in the British idea of rule of law. Many stalwarts of the Indian freedom struggle were lawyers trained in Britain; British imposition of a draconian law and the appalling cruelty of the massacre were enough for them to discard their illusions about the British tradition of fair play. In fact, one of the most prominent peaceful agitators was an educated Muslim barrister who the British were desperate to silence. His deceitful capture marked the catalyst for the protests that led up to the butchery witnessed at the Jallianwala Bagh on 13 April 1919. 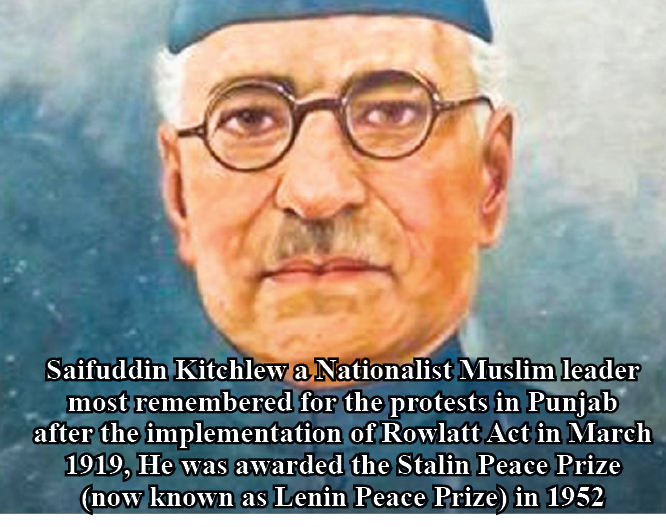 Barrister Saifuddin Kitchlewa was then a 31-year-old leader who was secretary of the Muslim League as well as of the National Congress in the second biggest city of northwest India where the massacre occurred. State violence against people is a distinctly heinous category of human rights abuse. Clear rules apply to state forces which must engage violent extremists or protesters, including how much force to deploy and what kind of weapons to use. But Indian state forces have often been trigger-happy, leading to severe human rights violations. Some cases that stand out are the killing of Muslim residents at Turkman Gate during the Emergency in 1976; West Bengal police killing Bangladeshi refugees at Marichjhapi in 1979; the killing of Muslim stone-pelting protesters in Moradabad in 1980; the death of 16 kar sevaks in Ayodhya in 1990; and the many instances of killings in Kashmir, including in Sopore and Bijbehara in 1993. One that we would do particularly well to remember is the Hashimpura massacre of 1987, and the tortuous path the journey for justice took. In May 1987, 644 Muslim men were arrested in Hashimpura in Uttar Pradesh’s Meerut district, following communal riots. The Provincial Armed Constabulary (PAC) divided them into two groups, separating old men and young children from young men. More than 40 young men were taken away in a PAC truck which drove towards Delhi. After a while, it picked up more PAC personnel. The kind of sweeping powers India’s security forces have, the impunity with which they sometimes act, the immunity they end up enjoying, and the sheer number of incidents that have not reached closure, is profoundly embarrassing for a democracy. This is where you mourn; tread gently. Tragically, 100 years after the Jallianwala Bagh massacre, there are many more such sites, all unmarked memorials, bearing witness to cruelty, waiting for justice.